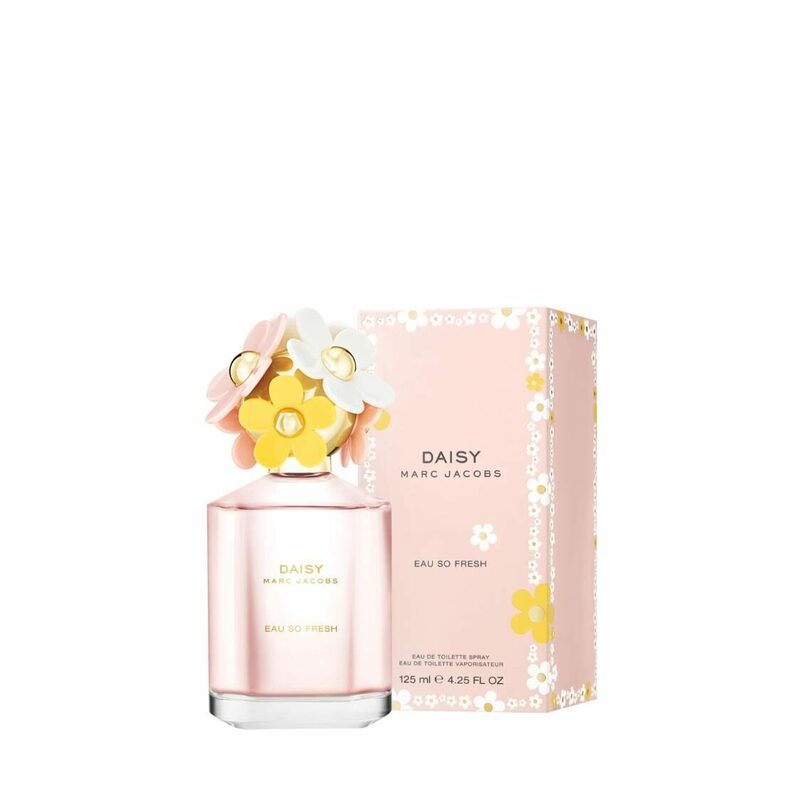 The Marc Jacobs Daisy Eau So Fresh is an interpretation of Daisy with a more fruity and bubbly scent story. Notes include raspberry, grapefruit, pear, violet, wild rose, apple blossom, musk, cedarwood and plum. A weighted glass bottle features a gold-tone cap with a soft daisy decal in pink, white and yellow.